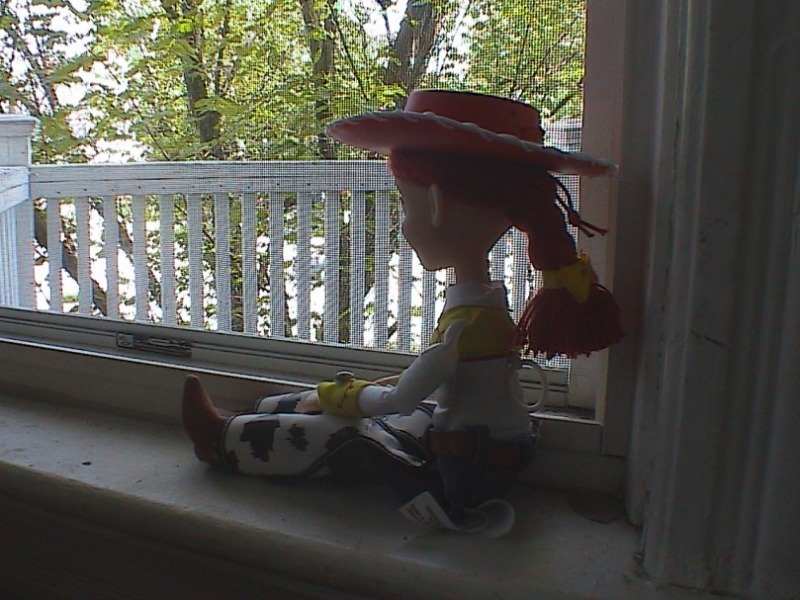 Jessie looks out the window. "I thought I'd get one last look at the sun before I get packed away again". HD Wallpaper and background images in the Jessie (Toy Story) club tagged: toy story 2 toy story 3 pixar jessie the yodeling cowgirl.